Paul Rand has the right idea on trusting that first logo design idea: When a client approaches you for a logo or identity design, and they have done so based on your portfolio, your experience, your reputation and your style, you have the driving seat. Don’t arse around with concepts, ideas, backwards and forwards with ideas, tweaks and adjustments. 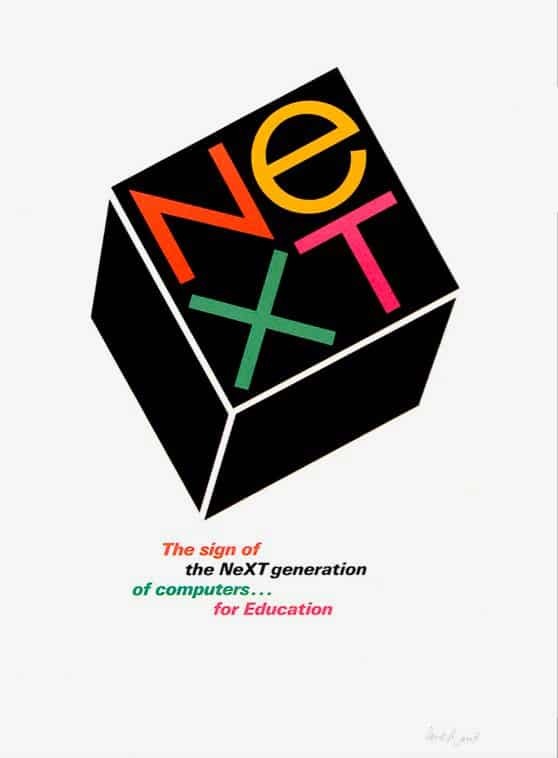 One of the more interesting examples of Paul Rand’s method is with the NeXT brand identity. 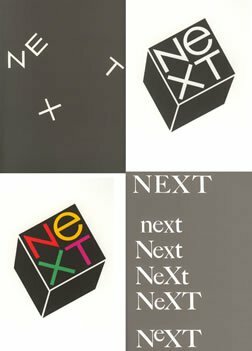 Steve Job’s approached Paul Rand and asked him to design the NeXT identity. Paul stipulated that $100,000 would be paid upfront, he would design one identity/logo and Steve would have to like it or lump it. It takes a confident designer to take this approach, but it also takes a very confident and ballsy client to accept. On occasion I have also shown my clients only the one idea, and this has worked very well in these cases. Admittedly I am not quite up to asking for $100,000 for the pleasure, but there is something very raw, something very cool, calculating and methodical, not to mention practical about this adopting this approach. I often believe that for me, there is only one idea worth exploring and developing. On a number of occasions, when I have not trusted my gut, and proceeded to work on other ideas, the original idea is often the one we come back to. When you experience this over and over, you start to believe more in yourself. You start to believe that sometimes, playing around with idea after idea is a total waste of time and money. Spend your time exploring that one idea, evolving it and perfecting it. As I mention before, this only really works if a client has shown an explicitly desire to work with you above all other logo designers. They have to be so ‘into your style’ that they simply believe and trust that you will deliver. To have a client who is prepared to take this route is the ultimate indication of confidence in your ability. Are you confident in your own ability to accept? Have you ever designed just one logo, knowing that it perfectly full fills the clients brief and presented it as the solution? When a client then says they would like to see more ideas, what are the real reasons for this? Do they feel they have not got value for money? Do they feel put out that you have only spent your time on one measly idea? 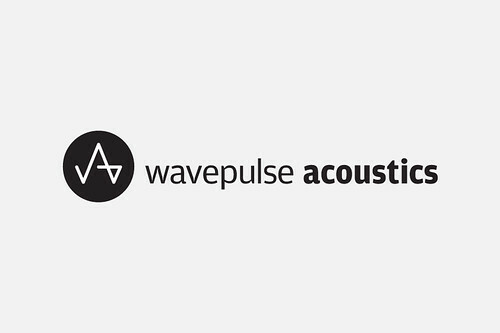 Wavepulse Acoustics is one example where I stipulated one idea only with money upfront. Our culture is obsessed with getting so called value for money. We only feel we have received value when it’s cheap or we get quantity. When I have presented just the one idea, and the client has asked to see more, I usually ask why. I poke around to find out the real motivation for this. The key is to really sell that one idea, to really put your whole weight behind it, that as far as you are concerned, no other idea is even worth thinking about. You will stake your reputation on this. The client wants to see and feel the confidence in you, they want to feel that you are so fully committed. If they show doubt, ask them to live with the design for a few days, to live with it. Then to get back to you. Then it can be reviewed. These few days are often the clincher. Be confident, be sure and have a really good explanation for your design. These few aspects are hard for any one to dispute. But equally, there is a fine line between an uncertain client who needs some gentle nudging, to a client who just hates it with all their heart.